Hansal Mehta's film is a taut thriller documenting the rise of terrorist Ahmed Omar Saeed Sheikh. Director Hansal Mehta's Omerta — the term is taken from the Mafia's code of honour that emphasizes complete silence, including non-cooperation with the authorities and non-interference in the illegal actions of others — depicts the largely imagined life of a British terrorist of Pakistani descent, Ahmed Omar Saeed Sheikh (Rajkummar Rao), connecting some of the dots of facts that already exist in the public domain. The film follows Sheikh through his involvement in three major acts of terrorism, with intermittent flashbacks to his days as a young adult and to his training. 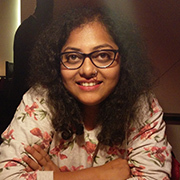 Aided by Aditya Warrior's brilliant editing, Mehta creates an engaging narrative. Sheikh's first operation is the failed abduction of a Czech, an American and two British tourists in New Delhi. The incident brings out his conniving, acting talents and his sociopathic behaviour when he uses his skills as an educated man to lure the tourists before abducting them. The second is his most notorious crime, the 2002 abduction and murder of Wall Street Journal newspaper reporter Daniel Pearl (Timothy Ryan Hickernell), who was investigating the nexus among terrorist groups, the Pakistani government and the country's notorious Inter Services Intelligence (ISI) spy agency. In one scene, after shooting Pearl, Sheikh is shown brutally hacking his head off. The gory sounds and shot of just half of Rajkummar Rao's face are enough to create a sense of horror and revulsion. Third is his supposed involvement in the 9/11 attacks in the United States despite being in a Pakistani prison after being sentenced to death for Pearl's murder. In fact, Sheikh continues to be alive and operate from behind Pakistani prison bars. The film clearly shows how the support and encouragement of the Pakistani government cemented Sheikh's position in the Islamist terrorist network. While Mehta depicts the involvement of the notorious ISI in terrorist activities (which is also a direct reference to the title), he leaves some important aspects, such as Sheikh's alleged connection with MI6, the British counter-intelligence agency, untouched. Using actual media footage of some of the incidents, Mehta creates a steely depiction of Sheikh's terrorist activities. 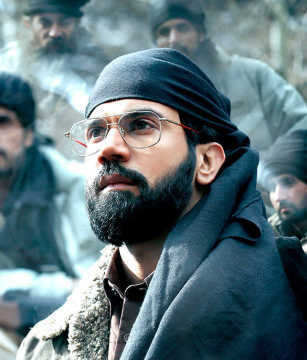 Portrayed with cold, unrelenting conviction by Rajkummar Rao, Omar Sheikh becomes a real man of the world who in his head has chosen the 'holy' path of ruthless revenge for the wrongs supposedly done to his fellow Muslims all over the world. With an unflatteringly overpowering musical score by Ishaan Chhabra, Mehta keeps the storyline concise and to the point. His focused narrative offers an intimate yet distant portrait of an educated man from a privileged background who turns to extremism for some unfathomable reason. Unfortunately, there is not enough insight into his motivations, though there is one scene from his younger days showing his political inclinations. The intermittent snippets of Sheikh's conversations with his father don't reveal much about his childhood either. It is clear that his inherent hatred and the motivation to do something larger than life made it easier for him to be brainwashed and converted into an instrument of terror. But the inner workings of Sheikh's mind remain unexplored. Mehta does not offer any new insights into terrorism or give any larger message on the brainwashing of young men or the fight against terrorism. Instead, he takes a cold and brutal approach to telling the story. In the process, he constructs a taut thriller that angers and disturbs you, but you never understand why the man in question does what he does. Omerta was screened at the 19th MAMI Mumbai Film Festival on 18 October 2017.